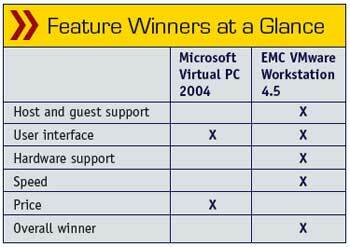 I'm a longtime fan of virtual machine technology, so it was exciting when Microsoft released Virtual PC 2004 (VPC2004). A little while later, competitor VMware (now owned by EMC) shipped VMware Workstation 4.5 (VMW 4.5)—a free upgrade to VMware Workstation 4.0. All my virtual prayers were answered. Virtual machine software enables a single piece of hardware to act like many pieces of hardware. 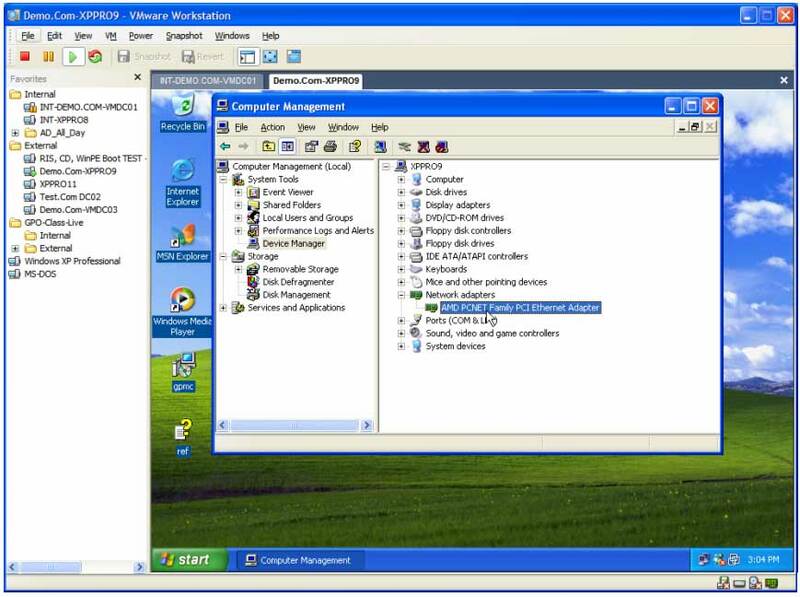 By virtualizing sessions on a PC, you can run multiple operating system "guests," or multiple instances of various operating systems, on a single PC. 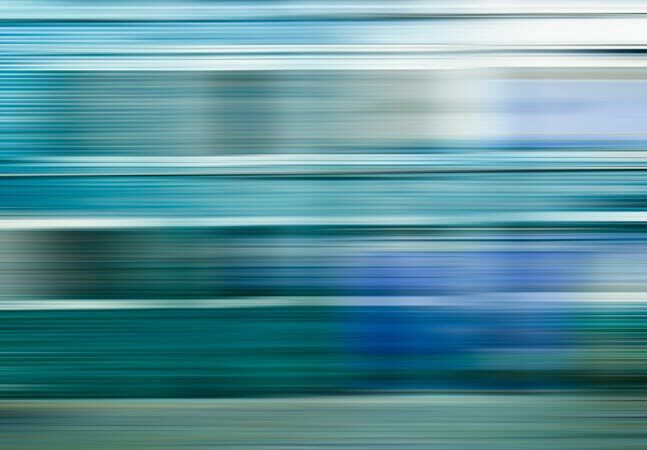 If a typical user had to choose between the EMC and Microsoft virtual machine products, he probably couldn't go wrong—both work as advertised and basically do the same thing. But as power-users and administrators, we're more choosey. We must dive into the nuances of each product to truly decide. 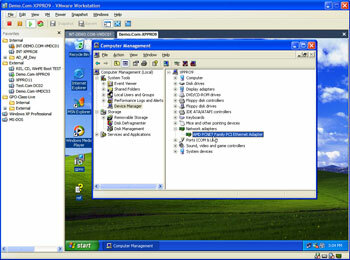 VM software is installed on a host computer that runs one or more guests. The host is the "real" PC while each guest is a simulated PC. When you fire up a new guest, it turns on like a real computer, beeps like a real computer, counts RAM like a real computer, and attempts to load an operating system like a real computer. Both VPC2004 and VMW 4.5 come as binaries run on Windows 2000 and Windows XP. VMW 4.5 also has Linux binaries, which lets Linux hosts run multiple guests, whether Windows or Linux. However, what the vendors say their products run on, and what they're actually compatible with, are two different things. Although Microsoft says VPC2004 is supported only on Win2K and XP—and asks Windows Server 2003 shops to step up to the forthcoming Virtual Server 2005—the software ran fine on my test dual-processor AMD 2000, Windows 2003 Server system with 2GB RAM. I also tested it on an AMD 2400 XP Professional system. VMW 4.5 also loaded without incident on the test systems. Indeed, during testing, both virtual machine products peacefully co-existed on the same box with individual guests running—even talking to each other when I asked them to. When it comes to supported guests, VMware has a more liberal policy, including nearly all DOS and Windows workstation and server variants, many Linux variants and even some interesting alternatives such as FreeBSD and Novell 5 and Novell 6. Microsoft's VPC2004 is more limiting. While it's possible to load non-Microsoft operating systems as guests, VPC2004 officially supports only DOS, Windows desktop variants and OS/2 Warp v4. The key word is support. Microsoft only promises "best effort" support for the guests it doesn't officially support. That means it won't go out of its way to troubleshoot a problem with Red Hat Linux or Novell 6 guests, for example. While different, each tool has a good user interface. To spawn a new guest, both applications walk you though a series of wizards asking which kind of guest operating system you want to use, how much RAM to allocate and which hardware should be virtualized (such as sound and network cards). VMware Workstation 4.5 takes a hierarchical approach to guest management. When you're ready to start a guest, just click on it and hit the little green "Play" arrow. If you want to suspend it, click the "Pause" icon, or turn off the guest machine completely with the "Stop" icon. Another icon enables you to reset a running guest machine. A tabbed-style interface allows you to jump between guests when multiple machines are running. Virtual PC 2004, on the other hand, has a "flat" list of all guests in its "Virtual PC Console." While this makes grouping guests together a bit harder and less manageable, switching between guests is just as easy. Both products have little niceties that make day-to-day use a pleasure. Both have excellent file drag-and-drop functionality between host and guest. Both also boast a "shared folder" concept where a folder on the host can be seen while inside the guest. And both protect the guest machine in the case of radical changes. VPC calls this "Undo" disks and VMware calls it a disk "snapshot." If the installation of a service pack or hotfix goes poorly, you can simply revert back to the original state. If the installation goes well, embrace the changes and move on. However, VMware could use a lesson in user interface and terminology, as it's confusing for first timers to recognize the difference betgween "Removing a snapshot" and "Deleting a snapshot." Older versions of VMware Workstation limited the total RAM for virtual guests to 1GB. VMW 4.5 raises the bar to 4GB for all running machines, the same capacity as Microsoft. This alone justifies the free upgrade. 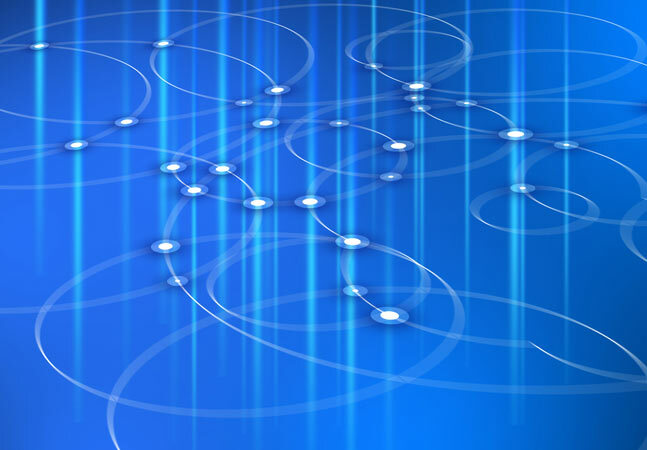 For networking, VMware supports up to three virtualized NICs in the same guest, while VPC allows for four. However, VMware still wins on flexibility because VMware provides virtual channels between guests. If you want two machines to see each other, and only each other, VMware has the edge. VPC 2004 has no way for guests to use USB devices other than simple mice or keyboards. VMware, on the other hand, supports any USB device the host can access, such as scanners and printers. VMware supports virtual IDE and SCSI disks while VPC only handles virtual IDE disks. This may prompt a big "So what?" But if you need to emulate a cluster (usually for demonstration and lab purposes), you can only do so with SCSI disks, which means VPC won't do the job. To test speed, I set up a scripted, unattended installation of a Windows 2003 Server guest for both VMware and VPC. This install also automatically loaded Active Directory and the Windows 2003 Resource Kit. This test ran on the single processor AMD 2400 machine and the dual processor AMD 2000. Once both operating systems were up and running, things were a bit better, but VMware was faster on the same hardware. VMware also "felt" faster when performing the same tasks, although that's a purely subjective estimate. VMware Workstation 4.5 takes full advantage of dual-processor systems, where VPC simply utilizes one of the available processors. VMware was obviously faster with the extra processor. To be fair, I also ran the tests on a single processor machine. In all cases, VMware was faster. VMware Workstation 4.5 costs $189 for a download version and $199 for a boxed version. VPC costs $129.00. The VPC trial is 45 days and available at www.microsoft.com/vpc. The VMW trial is 30 days and available at www.vmware.com/download. If you're even flirting with Linux, Virtual PC isn't the answer. But if you're a Microsoft shop, or have modest expectations, Virtual PC is a fine choice. VPC also works well with Apple Macintosh computers. 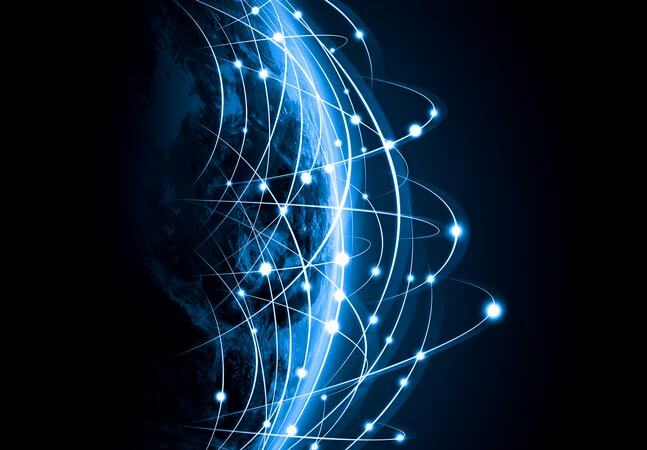 Some might wait for Microsoft Virtual Server 2005, which promises support for SCSI drives (for clustering), has networking support to match VMware, and should boast a nice Web configuration interface. And, it should be lots faster than its little brother VPC 2004. On the other hand, it's not out yet, and will probably cost scads more.